Founded by A.B. and Nell Gibson who were operating a commercial job printing operation at the time, the Clinton County News first hit the streets on November 3, 1949 and has been continually published on a weekly basis as a newspaper devoted to the news, current events and happenings that most effect Clinton County residents ever since. A.B. Gibson began his career in the printing and newspaper business while in high school when he started working for W.H. “Spider” Nunn at the New Era newspaper. The Gibsons published the New Era following the death of Nunn in 1942 and continuing until the end of their lease in 1948, when they founded their own job printing company, Gibson Printing Company. In 1955, the Gibsons purchased the New Era and consolidated the two publications into one but keeping the Clinton County News name. 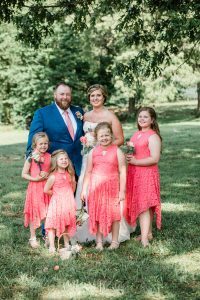 After studying journalism at Western Kentucky University, the Gibson’s son, Alan, joined the operation in 1978 and a shortly afterward, his wife, Janie Upchurch Gibson, came on board to work alongside her husband in the newspaper publishing business. A.B. Gibson passed away in 1994, and Nell Gibson passed away in 2006. Both dedicated their lifetimes to serving Albany and Clinton County in the newspaper business. Today, Al and Janie Gibson work alongside their oldest son, Brett, who graduated from Eastern Kentucky University with a degree in journalism. A younger son, Joe, currently resides in Bowling Green, Kentucky. More than 60 years since that first edition of the Clinton County News was introduced to the residents of Albany and Clinton County, each week, Al, Janie and Brett Gibson, with the help of dedicated staff members Gary Guffey, Amanda Sharpe and Teresa Wade, work to bring the readers of the Clinton County News a valuable newspaper product that is both informative and entertaining. No business can be successful without a good staff, and at the Clinton County News, we feel we have the best and we’d like you to know the News “family” that is responsible for the day to day operations. Born in 1958 to Clinton County News founders A.B. Gibson and Nell Bertram Gibson, Al Gibson was raised in the newspaper business, beginning in a playpen near his mother’s desk. The newspaper business is in his blood, and he served as reporter in clubs and organizations as well as school classes throughout his youth. In high school, he was a photographer that worked with the production of the C.C.H.S. annual, the Clintonian, for three years and during his senior year, he co-founded and edited a school newspaper, the “School Spirit – By The Spirit of ‘76”. 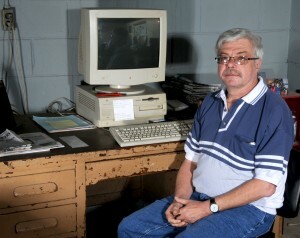 After graduating from Clinton County High School in 1976, and attending Western Kentucky University to study journalism, Al Gibson returned to Albany to work alongside his parents at the Clinton County News and eventually assume the title of Editor and later Publisher. 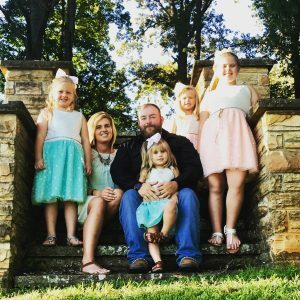 Away from the office, Gibson enjoys spending time with his family, boating on Dale Hollow Lake and an occasional round of golf. His love of sports allows him to combine work and pleasure in covering athletics at Clinton County High School. He has volunteered as the Voice of the Lindle Castle Gymnasium, performing the public address speaking at home Lady Bulldog and Bulldog basketball games since the 1978-79 season. As a child growing up, Janie had ambitions of becoming a writer (or a history teacher/basketball coach) but had no idea what her future would hold and that destiny would soon show her what she should do. She met Alan Gibson as a sophomore in high school and in 1978 they married beginning Janie’s career at the newspaper. She found, however, she wasn’t much of a writer, but had a way with selling advertising. So, over the last 30+ years, she has edited the paper, sold advertising, became the bookkeeper, and the human resources officer. A jack-of-all-trades if you will. Janie and Alan raised their two sons at the office along with the boxers and have transitioned the newspaper from typewriters to an all out on-line version. Their oldest son, Brett, works with them bringing yet another generation into the mix. When not at the office, Janie enjoys being on Dale Hollow Lake, gardening, music, and reading. She is a faithful University of Kentucky and University of Louisville basketball fan. She currently volunteers as a member of the Clinton County Public Library Board, has served on the Clinton County Industrial Development Board for 10 years, and is a former member of the Clinton County Fair Board having served almost 20 years. A native of Clinton County, Gary was born at Barnes Clinic in Albany and raised and lived in the Piney Woods/Cumberland City community for some 30 years. He is the son of Dorothy Guffey who resides in Albany. He has been for the past 15 years married to Teresa (Bickel) Guffey and has two step-children and two step-grandchildren (and a third to arrive in late July). Gary is a 1975 graduate of Clinton County High School and received a two-year Associate of Arts degree in communications from Somerset Community College in 1978. He attends Lands Chapel UMC. Being somewhat a ‘senior’ member of the Clinton County News staff, he has been employed here for the past 30 plus years, being hired in 1980 by the paper’s then publishers and late owners, A.B. and Nell Gibson, whom he always considered to be an extended family. He has covered news, public meetings, been a staff photographer in the 1980s and ‘90s and currently remains a staff writer as well as setting copy for the paper. When not at the news office, he works part time in radio, enjoys watching TV (primarily crime dramas, FOX News and sports) and enjoys every precious moment he can have with both his three-year old grandchildren–Logan and Makayla. As a part of the tradition, Brett is a third generation journalist. He has followed in the footsteps of his father, Alan B. Gibson and his grandfather, A.B. Gibson. 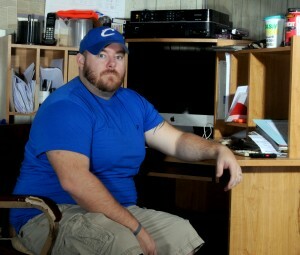 Brett began his career at the Clinton County News during his junior year of high school. After graduating from Clinton County High School in 2000, he attended Eastern Kentucky University to pursue his journalism degree. During the spring semester of 2001, Brett was awarded the Carol Wright Journalism Award for outstanding freshman writers. Brett won the award while serving on staff at the Eastern Progress, EKU’s news publication. Brett continued to work for the Eastern Progress throughout his college career and worked as an assistant sports editor, sports editor, graphic artist and photographer. While at the Eastern Progress, Brett had several photos published in newspapers across the United States, including Hawaii. After graduating in the fall of 2004, with a B.S. in journalism and a minor in print management, Brett came home to Clinton County to begin his professional career as a journalist. 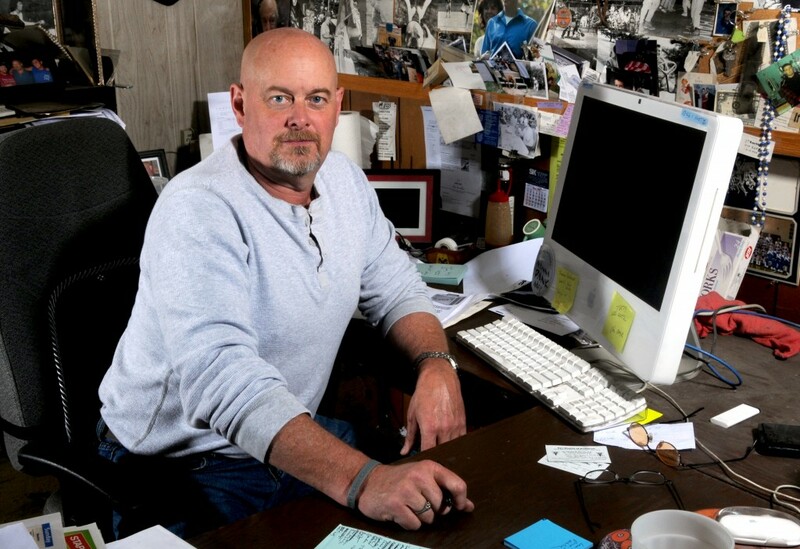 In addition to working at the newspaper, Brett has successfully started a photography business and has incorporated it into the newspaper business. 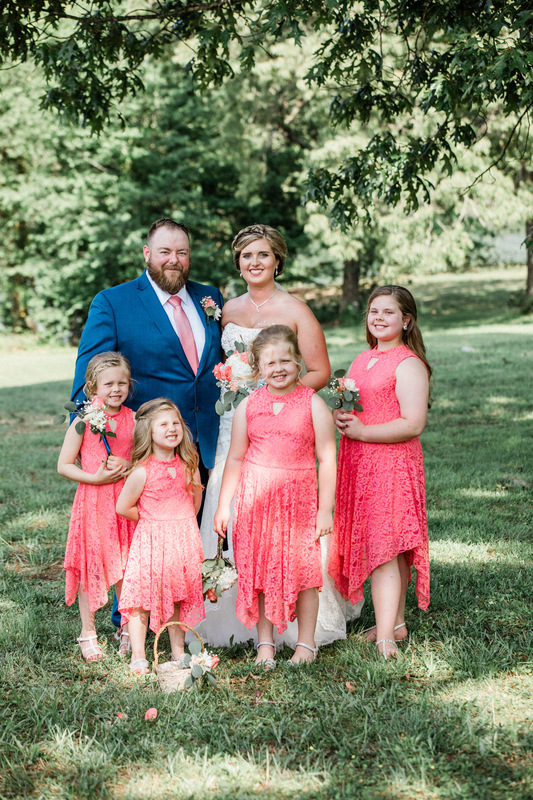 He was married in 2018 to Kimberly Jo Thompson. They have four girls, Kensey, Gracie, Lily and Peyton. In his spare time, Brett enjoys the outdoors and is an avid bowhunter and competition shooter. He enjoys shooting 3-D archery tournaments in Wayne County and Adair County and also enjoys photography, high school sports and spending time on Dale Hollow Lake. Erika started working at the Clinton County News in November of 2018. She has two children, Joey and Alli. 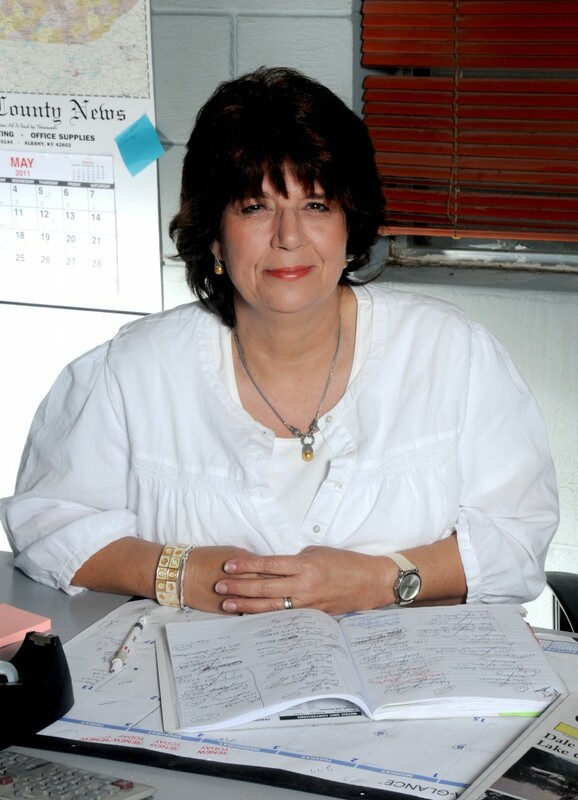 Debbie started working at the Clinton County News in November of 2018. 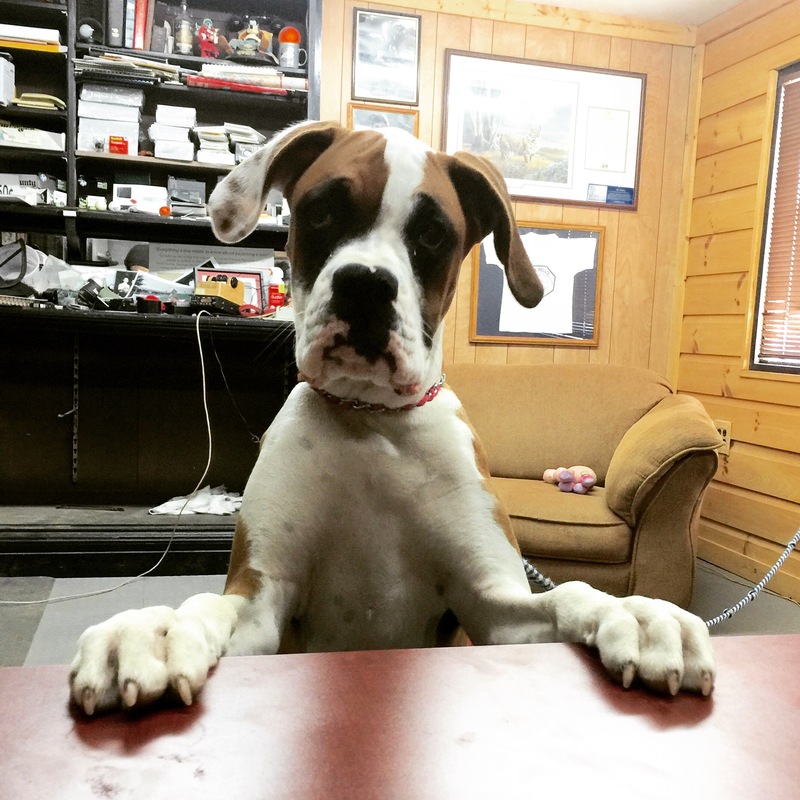 Customers entering the Clinton County News offices at 116 North Washington Street, are greeted by an eager and courteous staff, but often, the first faces they see are those of the “office dogs”, which are currently a pair of boxers. Dogs on the staff of the Clinton County News have been a tradition since the very first issue was published back in 1949 when “Lucky” a boston terrier that belonged to NEWS founder A.B. 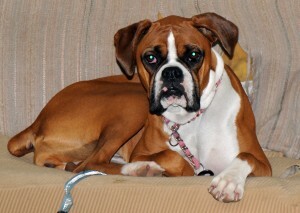 Gibson, could be seen “sunning” herself in the front office window. Lucky was followed by another boston terrier in the late 1950s, PeeWee, who enjoyed drinking a Coca-Cola from the bottle each afternoon. More dogs have followed in their footsteps until present day. In the 1970’s, Beau, a basset hound owned by Al Gibson, was often seen waddling around the office looking for a bite of leftover lunch scraps, and in the 1990’s, Fergie, a one-eyed english bulldog with a less than friendly disposition could be seen (but not successfully petted) lounging on a pillow beneath Al Gibson’s desk. In the most recent years, boxers have been the breed of choice and Mo, Sugar Rae and Rumbles preceded the current news dogs, Oscar and Belle. 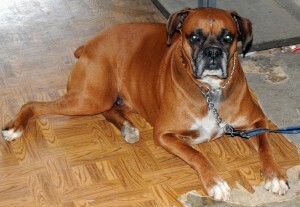 After the passing of Oscar, May was put into the family of News Dogs and later followed by Rufus. 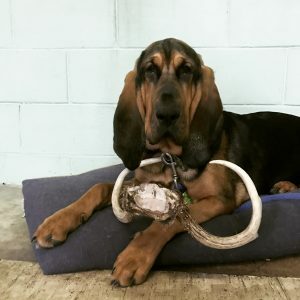 Rufus’ breed is somewhat different than the breeds of past News Dogs as he is a bloodhound known for his deep howl and the ability to sniff out anything.